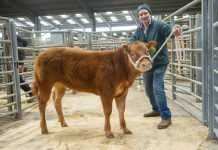 The 2018 East of England Winter Stock Festival took place on Friday 30th November and Saturday 1st December at the East of England Showground, Peterborough. 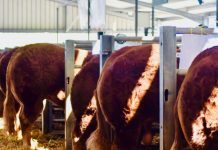 Billed as the premier livestock show in the East of the country, the event, returning for its eleventh year attracted exhibitors from across England, Scotland and Wales. 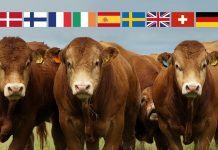 Robin Roberts, highly respected stockman and expert showman from Anglesey, led the cattle judging. 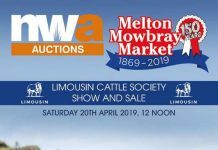 In the commercial section he tapped out the Limousin sired heifer Fancy That from Phil and Sharon Sellars, Lincolnshire as his Supreme Champion. The 18-month old heifer, by Heathmount Frenchconnection had been purchased from Frank Page, Elkington after being spotted at the Ashby Show. The stylish heifer arrived at Peterborough fresh from taking the Reserve Overall Championship title at the English Winter Fair just a fortnight ago and at Countryside Live in October. 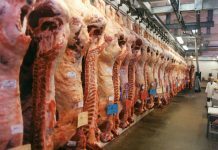 Tipping the scales at 626kg she went onto sell for an impressive £5,500 to well-known North of England family run butchers Kitsons no doubt in readiness for their keynote Christmas trade across their shops in Northallerton, Stockton-on-Tees and Hutton Rudby. 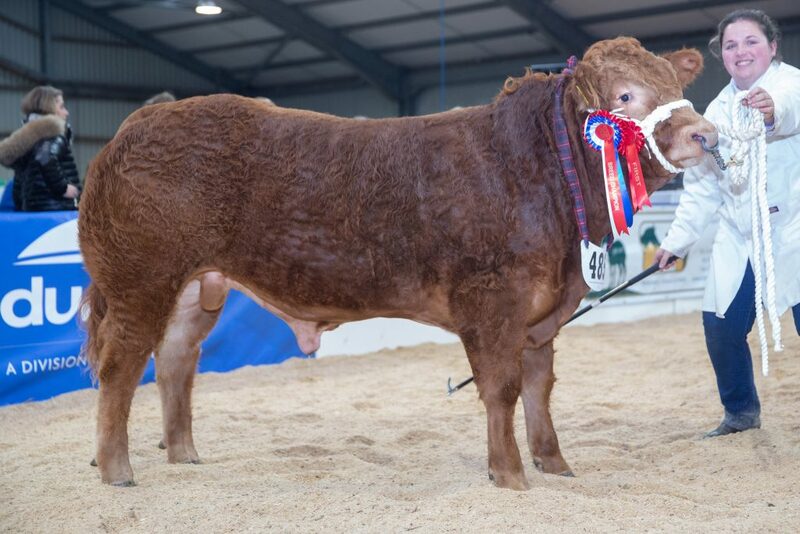 Tapped out as Reserve was another Limousin sired heifer, this time in the shape of the Reserve Continental Champion Black Opium from Ben Beckitt, Newark. 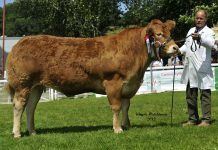 This stylish heifer had been purchased by Ben at the Ruthin show potential sale in February this year from breeder Adrian Williams who runs the Willnant Limousin herd at Llanidloes, Powys. Ben had plenty to smile about at Peterborough, he was also celebrating success with his May 2017 born steer Black Jack who secured the Reserve Continental Steer Championship. 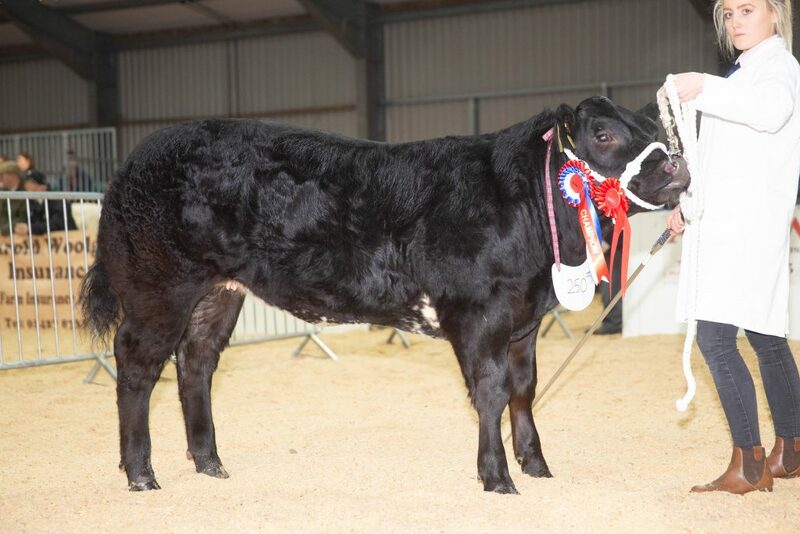 Ben bought this smart Lodge Hamlet son from Shelia Mason at Skipton’s show potential sale earlier this year. 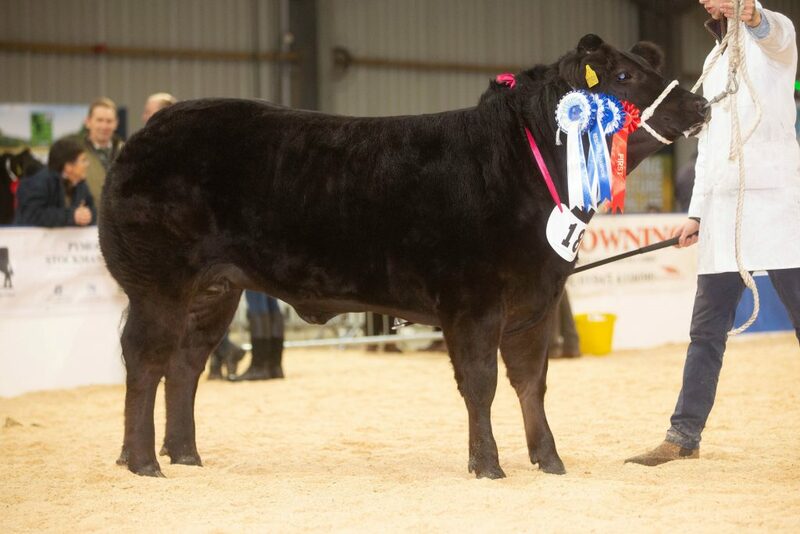 Topping the Baby Beef classes was the Continental Champion Bootilicious from Alice Harrison, who at just 16 years of age was making her first visit to the event. Her father Andrew runs 100 commercial suckler cows at Grange Hall, Great Asby, Cumbria alongside his Noble pedigree Limousin herd. 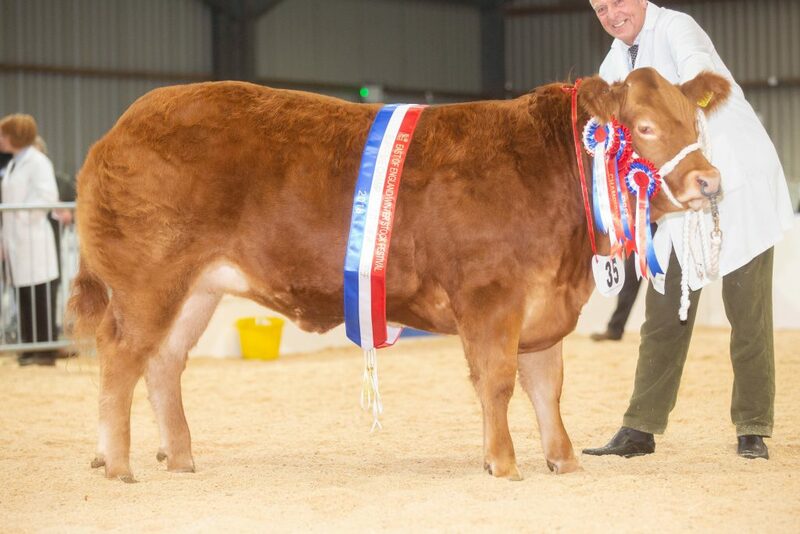 The 10-month old home-bred heifer, by a home-bred Limousin-cross bull, made its first outing with Alice at AgriExpo in the Young Handlers Championship where she was victorious. 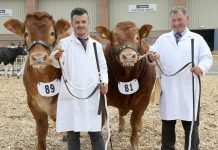 As with the Overall Championship it was a 1-2 for Limousin in the Baby Beef classes as the Reserve spot went to another Limousin sired exhibit. Securing the blue rosette was Dancing Queen, a March 2018 born home-bred heifer by the noted show calf sire Waindale UFO from Jennifer Hyslop, Barrhill, Girvan. 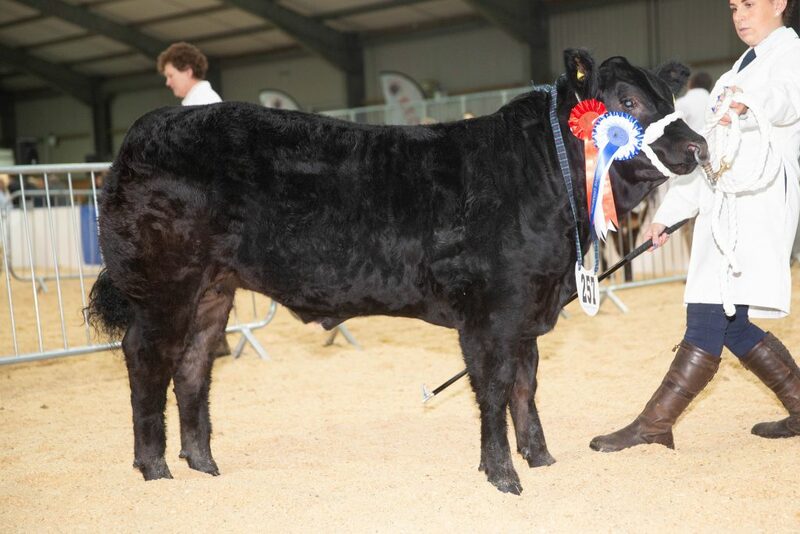 Dancing Queen had taken the Overall Baby Beef Championship at Countryside Live. 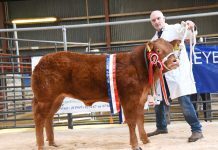 In the pedigree beef section Robin selected the Limousin heifer Parkhill Narnia from Mike Dickens and Family, Little Horwood, Milton Keynes as his Reserve Continental Champion Pure Bred Beast. January 2017 born she is by Ironstone Fullmonty out of Bowrells Ivory. 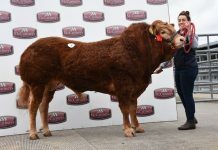 The Limousin classes saw Copylawn Omley take the honours as Breed Champion. The January 2018 born home-bred bull from the Cranfield family, of Bourne, Lincolnshire, is another by Lodge Hamlet out of Confluence Lucia. Reserve Breed Champion was another from Mike Dickens and family in the shape of Parkhill Nelson. The 13-month old bull is another by Ironstone Fullmonty but this time out of Parkhill Gewell.